This original exhibition debuts one of the Museum’s most recent acquisitions, a large-scale, graphite drawing by American artist Karl Haendel. Wishbone captures the moment Minnesota Vikings running back Adrian Peterson begins slipping past Cleveland Browns defensive tackle ShaunRogers in a 2009 season opener. 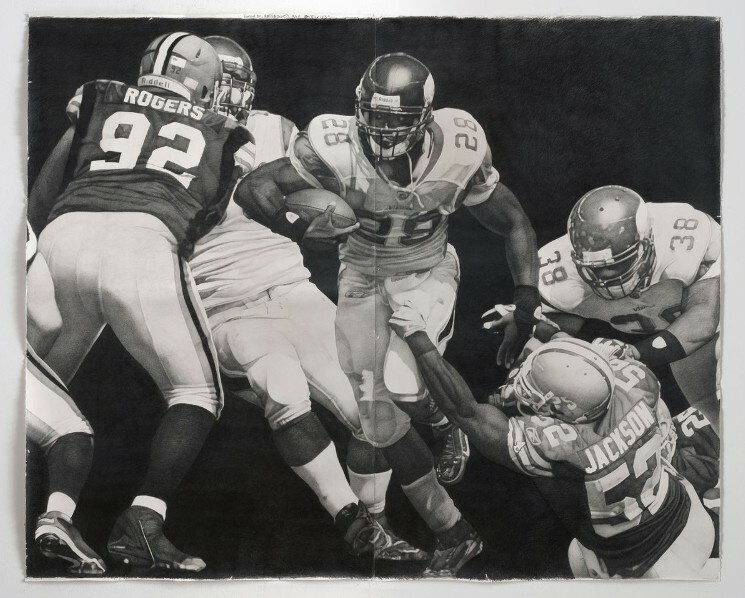 This meticulously hand-rendered, photorealisticgraphic drawing inspired by a photograph freezes a fraction of a sports second into a 84.5-inch by 103-inch wall mural.